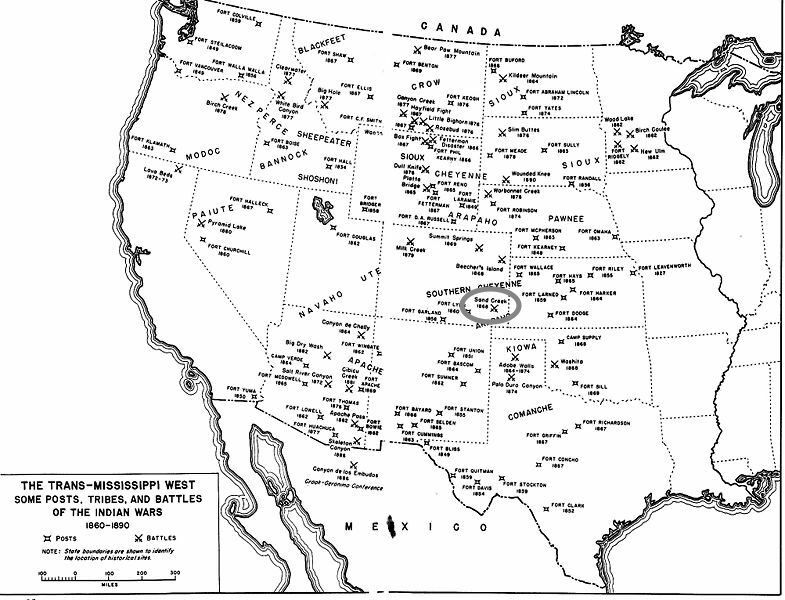 The last part of the United States settled by Euro-Americans wasn’t the West Coast but rather the Great Plains, stretching from the Texas Panhandle up through western Oklahoma, Kansas, Nebraska, eastern Colorado, and the western Dakotas into eastern Montana — between the mountains to the west and fertile prairies to the east. This was wide-open, unforgiving terrain with little water, harsh winters, hot summers, tornadoes, and grasshopper plagues. Today’s farmers can tap into the massive underground Ogallala Aquifer, at least for another 20-50 years, but no one is sure what will become of the area when the reservoir runs dry. Scientists think this region and other parts of the West have been plagued by “mega-droughts” intermittently throughout history, wreaking havoc even on Indians with low populations and lower water use. Today, the region’s overall population has been declining since the 1930s, in spite of a temporary surge around the Bakken Oil Boom. Some small towns in Kansas have been abandoned altogether. The Plains’ population was likewise sparse compared to most of the country after the Civil War. Before farmers and ranchers fenced in their homesteads with barbed wire, “cattle herders” drove cows across the range to railheads in towns like Abilene and Dodge City, Kansas. At the time, cowboy was usually a derogatory term for outlaw, rustler, or bandit. Former slaves called Exodusters, in reference to the area’s dust and the Biblical book of Exodus, staked out precarious homesteads. To overcome concerns about the area’s dryness, boosters pushed the pseudo-scientific theory that plowing released moisture back into the air that would return as rain. “Rain follows the plough!” was their sales pitch. White Soddies built mud huts and busted sod to eke out a hardscrabble living while millions of buffalo grazed under the big sky. Unlike other parts of the country, Whites on the Plains didn’t hugely outnumber the Indians around them in the late 19th century. The traditional Plains Indians they encountered who hunted buffalo with guns on horseback weren’t really that traditional. Guns and horses didn’t exist in pre-Columbian America — horses had gone extinct thousands of years before — and many of the tribes that inhabited the Plains were pushed out of hunting grounds around the Great Lakes only a few generations before. Others, such as the Mandan, hunted buffalo without horses and guns for centuries before Whites or Great Lakes Indians arrived. In the northern plains of Montana, Mandan and Blackfeet herded bison through drive lanes of rocks and brush over cliffs, where other hunters waited with clubs and spears. This technique was called a buffalo jump. Americans moved into Midwestern prairie states in the 1830s but then interest shifted to the Far West with the opening of the Oregon Trail, the Mormon Trek, and California Gold Rush before the Civil War. The Plains were too dry to easily yield crops and inhabited by formidable Indian tribes that blocked white settlement. As we saw in Chapter 16, early maps of the area referred to the Great American Desert as being almost uninhabitable. The Plains were the last area in the Lower 48 where Indians lived independently before being forced onto reservations. When you hear people talk about Indian Wars in American history, they’re usually referring to warfare on the Plains during and after the Civil War, starting with the Dakota War of 1862 through the Wounded Knee Massacre in 1890. The same Union Army that fought Confederates was fighting a simultaneous war against Plains Indians, and even employed the same total war tactics used in W.T. Sherman’s March, Philip Sheridan’s (Shenandoah) Valley Campaigns, and U.S. Grant’s Siege of Vicksburg. Sherman and Sheridan both fought out west after the Civil War while Grant oversaw Indian affairs as president from 1869-1877. 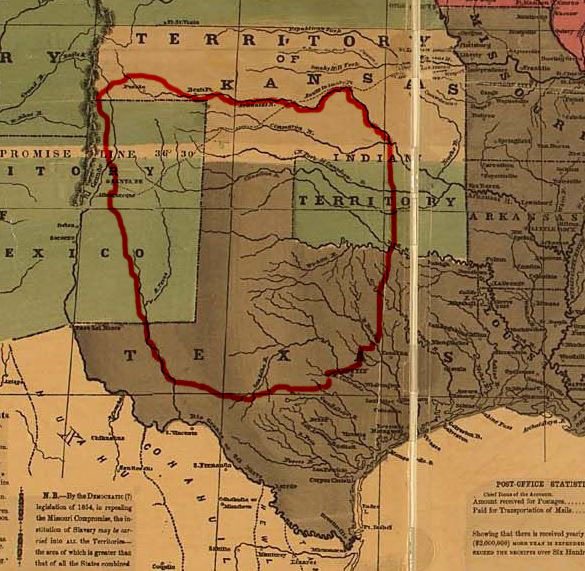 On the Southern Plains, Comanche rode roughshod over anyone and everyone, be they Whites or other Indians, in and around a huge swath of land the Spanish called Comancheria, the southeastern border of which included Austin. Then, the ruckus over slavery in Kansas in the 1850s impeded settlement. But, without Southerners in Congress during the Civil War, the Union government promoted western expansion, giving away land to farmers with the Homestead Act of 1862 and, through the Morrill Act, land grants for states in the Midwest and Plains to build colleges. In 1864, Lincoln set aside land at Yosemite, California, setting the stage for the country’s first national park at Yellowstone in 1872. Lincoln came into office seeing three countries — the Union, California, and the South — where he wanted one, so he focused on bringing the West under Union control as they fought the Confederacy. 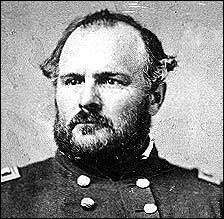 He feared that the South would encroach on western territory if they won, which they seemed to be doing as of 1862. Abraham Lincoln and the Republicans of the 1860s synthesized rugged individualism with the idea of the collective. Lincoln believed in self-reliance, but self-reliance within a society that provided opportunities for hard workers through subsidized land, public schools, railroads, etc. The Homestead Act wasn’t a free handout; less than 50% of recipients cultivated the land well enough to earn their grant. In rare cases, Exodusters won land grants. After the Civil War, renewed immigration from Europe, especially Germany and Scandinavia, fueled settlement of the upper Midwest and Plains. The government loaned money and ceded massive tracts of land to railroad companies who, supposedly, couldn’t afford real estate down payments up front. The government gave away around 10% of the country to either settlers or railroads, including more land to railroad companies than the entire square mileage of New England. The five transcontinental railroads still in existence today all came into being between the Civil War and 1900. These projects, along with the discovery of gold in the northern Plains and Rockies, forced the final showdown between the U.S. and remaining independent Indians. Indians interfered with railroad construction, killing workers. 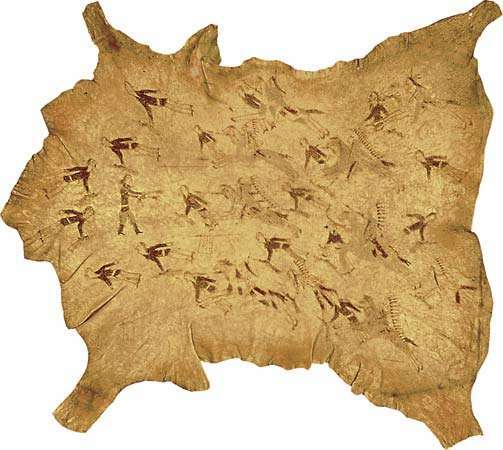 And the buffalo Indians counted on for survival (for beef, robes, tools, etc.) interfered with the iron horse (trains) by grazing on tracks. Consequently, the government wanted to push Indians to either side of the transcontinental routes, moving them onto reservations. Killing buffalo in droves served the dual purpose of clearing the tracks and undermining Indian economies. 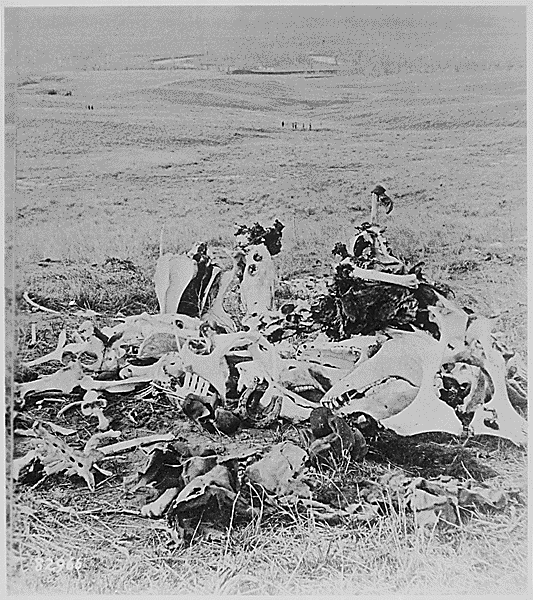 Army soldiers killed buffalo and passenger trains even stopped amidst herds so travelers could pull out their rifles and fire away. When they were done, they moved on, leaving the carcasses behind. 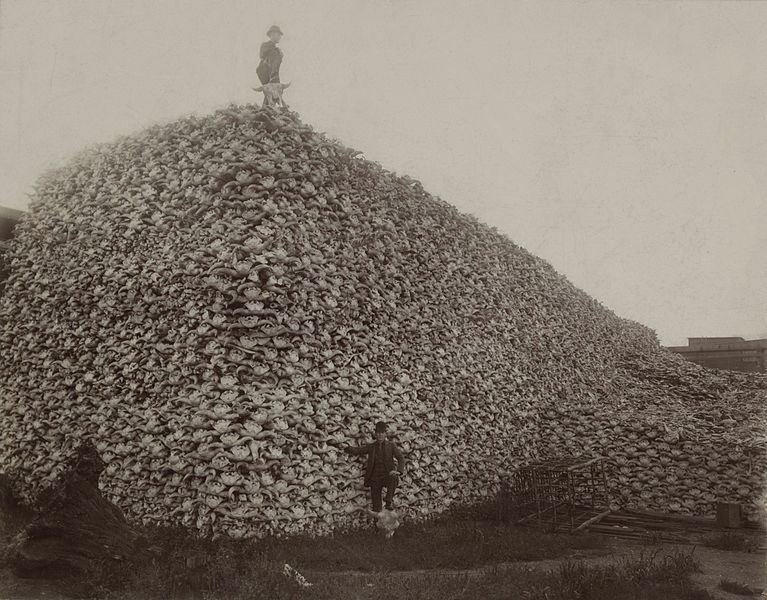 So many buffalo died that, at times, their rotting flesh could be smelled throughout the region. There were numerous forced marches onto reservations similar to the Trail of Tears back east in the 1830s (Chapter 13). The Ponca of (modern) Nebraska’s Niobrara River Valley were sent to a reservation that the government accidentally ceded to other tribes in an 1868 Treaty. Then the Army marched them to northern Oklahoma with many dying along the way. When their chief, Standing Bear, returned to Nebraska to press their case, authorities arrested and imprisoned him. He sued with the help of local pro bono attorneys and, in Standing Bear v. Crook (1879), a district court ruled for the first time in history that Indians have legal rights in the U.S. It was an important first step toward citizenship, attained for Indians nationwide in 1924. Southwestern Indians presented a similar obstacle to Whites. In a forced migration similar to the Ponca’s, an army led by Kit Carson and American-allied tribes pushed Navajos onto a reservation near the Four Corners area of Colorado, New Mexico, Arizona, and Utah. East of there, the combined forces of diseases (mainly cholera and smallpox) and more Whites moving into Texas weakened the once mighty Comanches. In Colorado, relations between Indians and the government worsened after Colonel John Chivington — part-time Methodist preacher, Freemason, and abolitionist — led a massacre of innocent Arapahos and Cheyennes at Sand Creek and Smoky Hill River, who had already agreed to move onto a reservation. 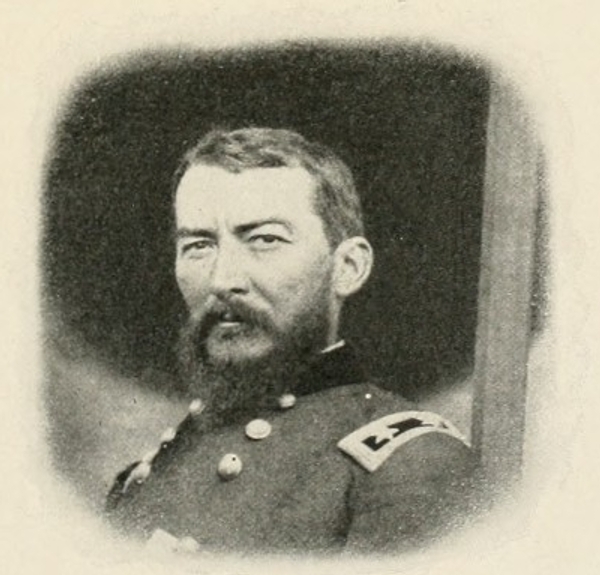 When local press harassed Chivington’s men for not having killed any Indians, he burnished his reputation by ordering them to “kill Cheyenne whenever and wherever found.” As he callously put it in his call to arms, “Kill ‘em all, big and small, nits make lice.” Wearing a peace medal President Abraham Lincoln had personally given him in Washington in 1863, Cheyenne Chief Lean Bear confidently rode out to greet Chivington but died before he hit the ground when the colonel’s men shot him. After the smoke cleared, soldiers rode over to pump him full of more bullets. Lincoln’s words proved prophetic, as he’d warned Lean Bear that “his children (Army officers) might terrorize Western tribes and ignore peace treaties, because it wasn’t always possible for any father to have his children do precisely as he wishes them to do.” Hardest hit was Black Kettle’s Wutapai band who, on the advice of other U.S. soldiers, flew an American flag with a white surrender flag under it over their village. Jis to think of that dog Chivington and his dirty hounds, up thar at Sand Creek. His men shot down squaws, and blew the brains out of little innocent children. You call sich soldiers Christians, do ye? And Indians savages? What der yer spose our Heavenly Father, who made both them and us, thinks of these things? I tell you what, I don’t like a hostile red skin any more than you do. And when they are hostile, I’ve fought ’em, hard as any man. But I never yet drew a bead on a squaw or papoose, and I despise the man who would. Things came to a head after the Army attacked Indians in the Powder River Basin of the Wyoming and Montana territories the following year, 1865, after a gold discovery. 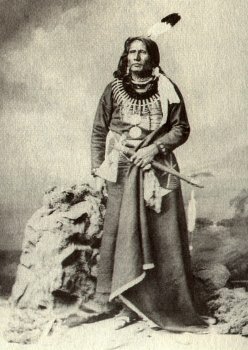 Oglala Lakota of the Sioux Nation, led by Red Cloud, lured and ambushed U.S. troops in the Fetterman Massacre of 1866, near Fort Phil Kearney. They beheaded, disemboweled, scalped, and castrated all troops except for one young bugler, whom they respectfully covered with a buffalo robe after his futile attempts to fend off attacks with his horn. Such mutilations were traditional among American Indians, just as they were in Europe, early America, and around the world. 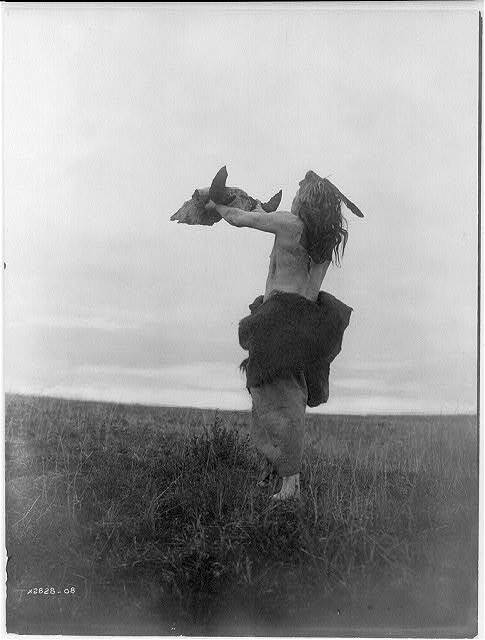 Plains tribes marked their prey distinctively; some chopped off ears or noses, for instance, while others stuffed their victims’ penises in their mouth. 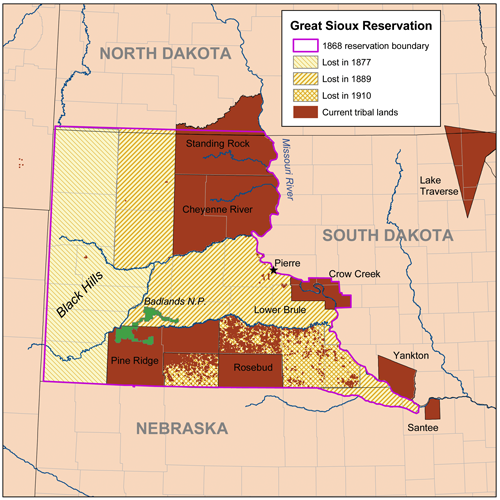 In the resulting Treaty of Fort Laramie (1868), the vast lands granted to the major Plains tribes in the 1851 Treaty of the same name shrunk considerably, ostensibly to ensure civilization. The government moved many Indians to reservations in either Oklahoma or the desolate Black Hills of the southeastern Dakota Territory, where Whites figured they’d never have any reason to settle. Lakotas occupied the Black Hills after pushing out Kiowas and Crows in the 18th century. In the words of historian Peter Cozzens, Lakotas valued the Paha Sapa (“hills that are black”) not for their mystic aura but rather as their “meat locker, a game reserve to be tapped in times of hunger.” A less defined un-ceded territory spread further to the south and west, where Lakotas and Cheyennes could still hunt. 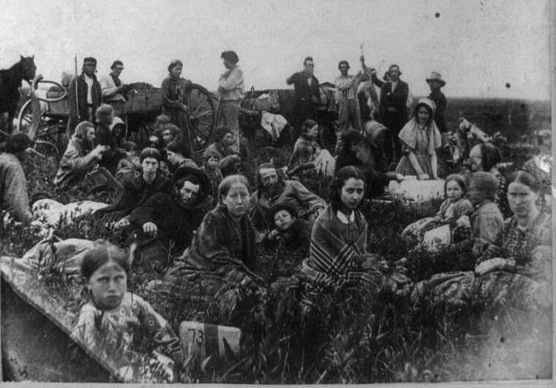 Holdouts led by Sitting Bull and Crazy Horse refused to move onto the reservations, condemning those who took wasichus (Whites) up on their offers of free food and supplies. Others decided to accept the deal while they had the chance since their future prospects looked dim anyway, and they appreciated the four promised years worth of meat and flour. But then the Army discovered gold along the northwestern border of the Black Hills in 1874 and the government asked the Northern Sioux, as they called Lakotas, if they could buy the territory back. President Ulysses S. Grant came to office in 1869 promising peace in the West, conceding that “Our dealings with the Indians properly lay us open to charges of cruelty and swindling.” And Grant could plausibly tell the Lakota delegation that visited the White House in 1875 that he and the relatively small military were powerless to keep miners out of the Black Hills. This is the setting of HBO’s Deadwood (2004-06), for readers familiar with that series. However, documents in the Library of Congress and U.S. Military Academy Library demonstrate how gold motivated Grant to condone war in 1876 behind the back of Congress and the public and undermine the Fort Laramie Treaty. He cherry-picked a hawkish inner cabal that circumvented the normal chain-of-command, avoiding those like W.T. Sherman who’d signed the Laramie Treaty and wrote Grant to complain of “whites looking for gold [who] kill Indians just as they would kill bears and pay no regard for treaties.” Grant didn’t invite Sherman into his inner circle, though he included two of Sherman’s hawkish subordinates, Phil Sheridan and George Crook (the defendant in the aforementioned Standing Bear case). The secret commission asked the “wild” (non-reservation) Lakotas if the U.S. could purchase mining rights knowing they’d said no, then ordered them to the reservation by an impossibly short mid-winter deadline, all the while fabricating fake complaints against them. They knew that horses were weak from hunger in the winter and couldn’t travel to summits. Conveniently, independent Lakotas refused Grant’s request that they move onto the reservation, with Sitting Bull purportedly picking up a pile of dirt and telling a messenger, “I do not want to sell or lease any land to the government — not even as much as this.” Grant, who’d been so critical years earlier of President Polk’s manufactured casus belli against Mexico in south Texas (Chapter 17), now had his wish: Lakotas were “provoking conflict” and the U.S. had no choice but to defend itself against the “untamable” Indians, the same ones that told Chicago Inter Ocean field reporter William Curtis that they had no desire to fight. Renewed war ensued that included perhaps the most ignominious battle defeat in U.S. history, but ultimately the demise of free Lakotas by 1877. In 1876, Cheyenne, Arapaho, Oglala, and Lakota (Hunkpapa) warriors wiped out an entire U.S. battalion led by the courageous and egotistical George Armstrong Custer. Custer’s men found gold in 1874 along the Little Bighorn River in southeastern Montana and were clearing the area of Indians to make way for white settlers and miners. Custer wrote his brother-in-law that his foray into the Black Hills would “open a rich vein of wealth.” But as the Helena Daily Herald reported on July 5th, 1876, the day after the country’s 100 birthday, they were “cut to pieces…in a terrible fight.” The rout shocked Americans back east, most of whom had never even seen an Indian and took it for granted that the Army had mostly subdued them. 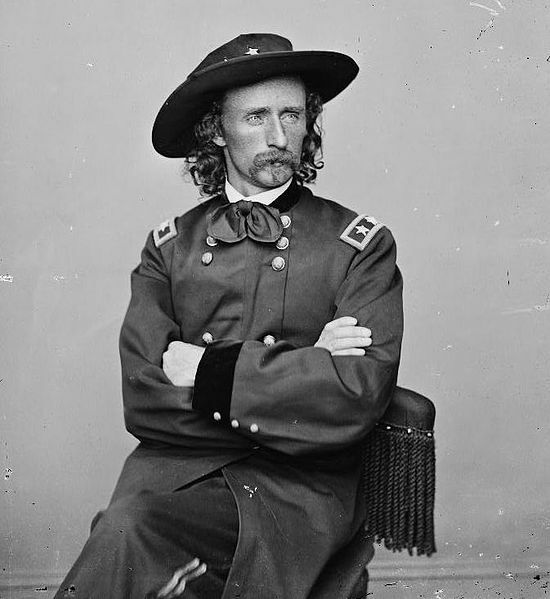 Now, in the midst of the nation’s centennial celebration in Philadelphia, came word that the dashing, long-haired Lt. Col. Custer — perhaps the most famous non-major general from the Civil War and leader of the heroic Michigan Wolverine Calvary’s charge at Gettysburg — was dead along with all his men. He’d accidentally led his 7th Cavalry into a larger-than-expected encampment led by Sitting Bull and defended by Crazy Horse and other warriors. The Army’s attacks on Lakotas and Cheyenne had been brutal leading up to that, with infants left to freeze to death, and this group wasn’t about to allow a repeat of Sand Creek or Custer’s attack at the Washita River in Oklahoma, in 1868. Custer had come to expect that warriors would run to the rescue of their women and children before fighting and he complained that he would prefer them to “stand and fight.” This time, he stumbled into a bigger camp (6-7k) and there were plenty of warriors who stood and fought (1.5k) while others stayed back with the families. That was partly because they’d been emboldened by Sitting Bull’s vision of victory during his Sun Dance days earlier. Custer’s men arrived before three other columns led by Crook, Alfred Terry, and John Gibbon that they were supposed to rendezvous with near the headwaters of the Little Bighorn River (above). 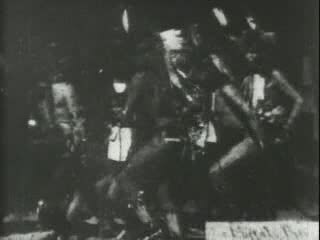 Along with Marcus Reno’s three companies, they decided to fight anyway, fearing that the Indians would scatter before Terry’s larger force arrived and not realizing initially that they were outnumbered 7:1. Unlike many of the earlier cavalry attacks, the warriors were well armed this time. They’d traded enough buffalo robes to settlers in previous years to amass an arsenal of Winchester and Henry rifles. Unlike the single-shot Springfield 1873s used by the 7th Cavalry, these repeating rifles could fire off magazines of twelve to sixteen rounds before having to be reloaded. A skilled soldier was lucky to shoot that many rounds in a minute with the Springfield and, when it jammed, he could only use it as a club. In this case, Indians had the same advantage Union troops enjoyed on Sherman’s March through Georgia during the Civil War. The result was the annihilation of 268 men, or 1% of the entire U.S. military, that had trimmed down considerably after the Civil War. 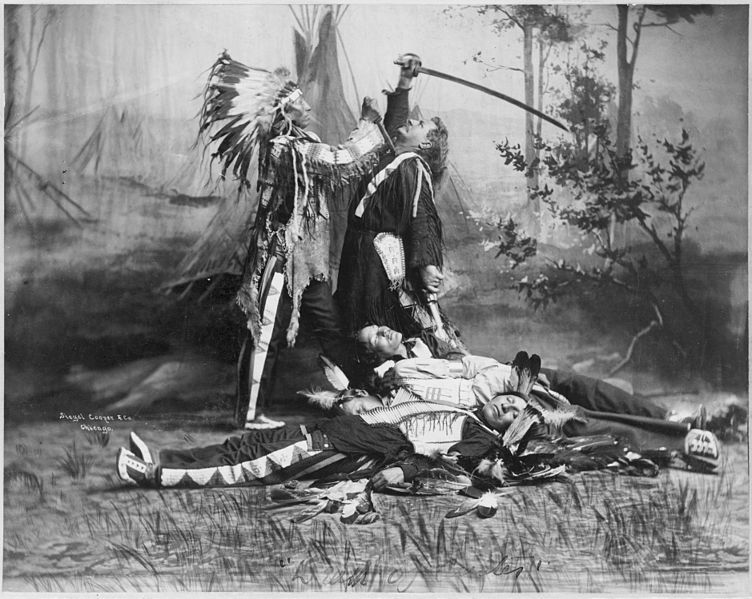 Ignoring Sitting Bull’s warning to respect the victims, vengeful warriors who had lost their families in earlier attacks disfigured the soldiers so that they’d not enjoy the afterlife, battering their brains out and strewing their insides across the field. There are conflicting reports as to what happened to Custer’s body. One story is that Sioux warriors preserved Custer because two Cheyenne women told them he’d had a brief relationship the prior year with a woman in their tribe, and he was therefore considered a relative. Another is that warriors denigrated Custer’s remains like the rest, including puncturing his eardrums because he wouldn’t listen. Custer had an Indian scout, a Hunkpapa Sioux named Bloody Knife, who died at Little Bighorn. 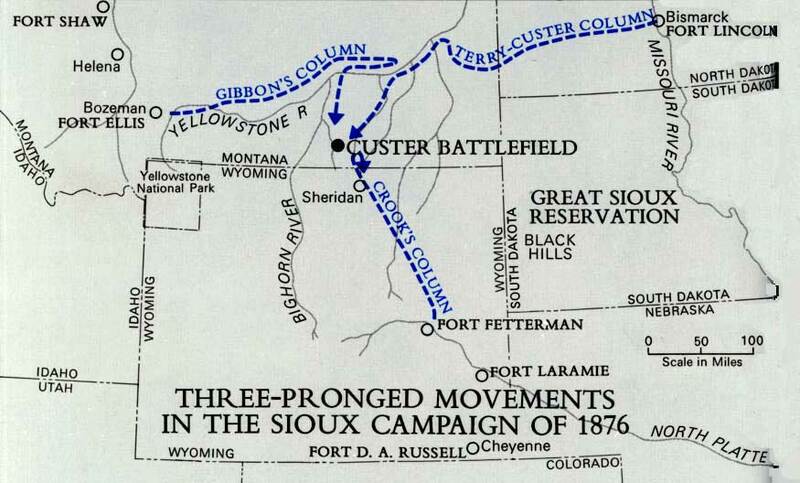 Several Crow Indians, enemies of the Sioux, also fought with Custer. 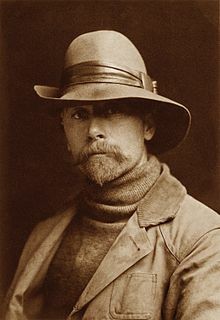 Years later, they told Indian ethnographer/photographer Edward Curtis that, when Custer saw Reno’s men being routed early in the battle, he dismounted and watched, despite protests on the Crow’s part to go help. Custer, a bitter enemy of Reno, said, “No. Let them fight. There will be plenty of fighting left for us to do.” Suffice it to say, Curtis’s revisionism didn’t go over well with turn-of-the-century Americans, including his patron Theodore Roosevelt (then president), who scolded Curtis in a letter. 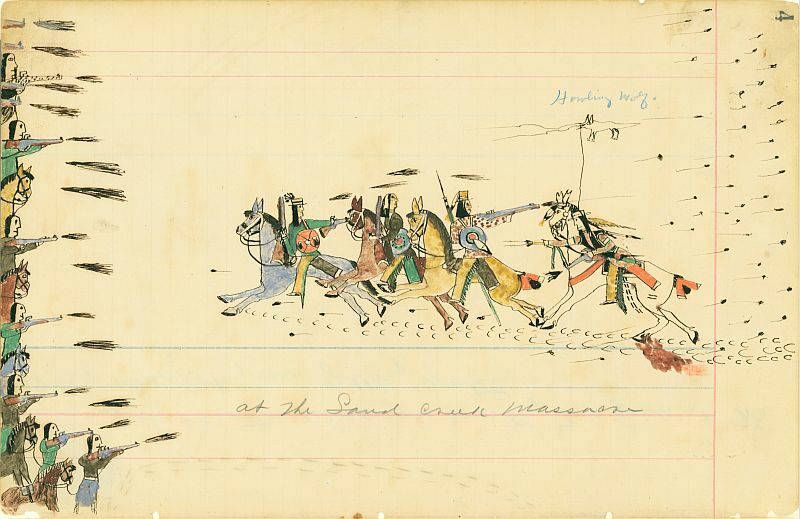 The Lakota’s Battle of the Greasy Grass — known to Whites as the Battle of Little Bighorn or, in common lore, as Custer’s Last Stand — was the U.S. Army’s worst defeat at the hands of Indians since the Battle of Wabash (St. Clair’s Defeat) in 1791. Yet, it was probably the worst thing that could’ve happened to Plains Indians. 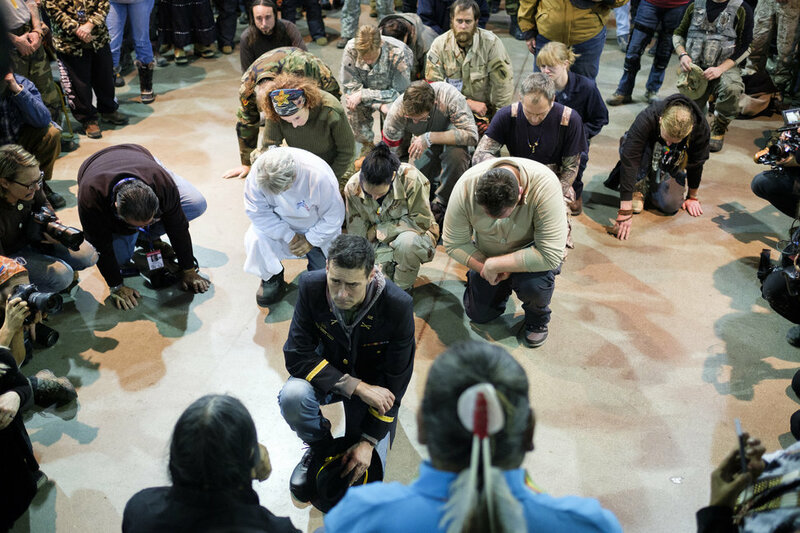 The U.S. doubled down its efforts to wipe out the remaining holdouts who hadn’t moved to reservations. The Army dispatched more troops to the Plains and Northwest, where they captured fleeing Nez Perce just miles from the Canadian border and sent them to Oklahoma, where most of them died. In 1980, the Supreme Court awarded damages to Lakotas for their lost land, an unclaimed settlement now worth over a billion dollars with accrued interest. They hope someday to reclaim the Black Hills instead. Inspired by a Northern Paiute spiritual leader named Wovoka, some Indians engaged in Ghost Dances meant to encourage others to revive their traditional economies and not rely on white trade. They hoped Indians would disavow coffee, sugar, and bacon, for instance, or other items they relied on Whites for. Ghost dances offended Whites and, in 1890, the Army mowed down Sioux dancers at Wounded Knee, South Dakota with a Gatling gun, an early automatic weapon, and buried them in a mass grave. 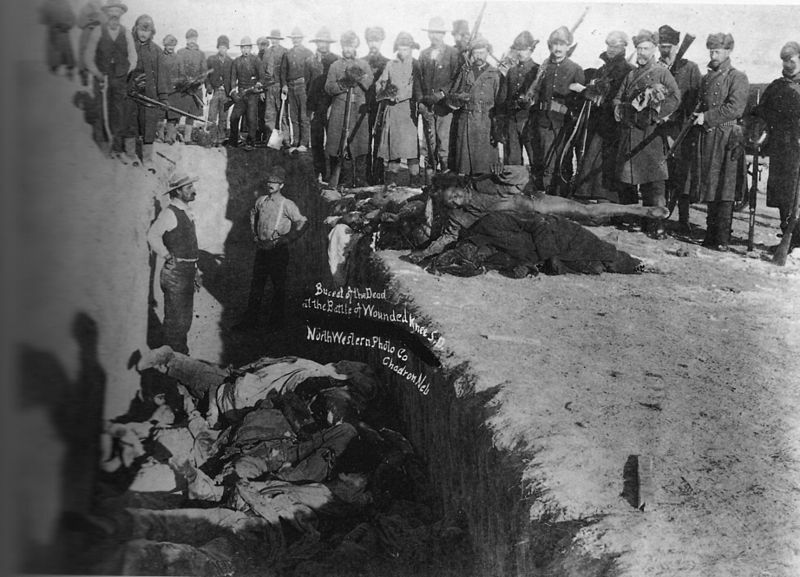 Wounded Knee marked the end of 19th-century Indian resistance on the Plains. Adding insult to injury, reservations shrank in size. In 1889, the government opened up much of Oklahoma, originally set aside as one large reservation, in one of the great land rushes in history. Sooners, or Boomers, were white squatters who rushed across the border to claim land before it officially opened. 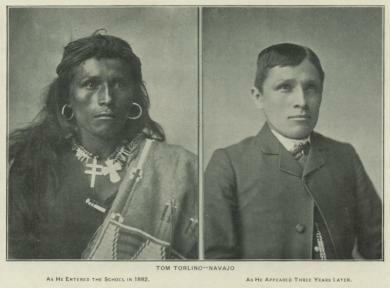 Indians were faced with the choice of either staying on reservations or assimilating into mainstream American society, though they lacked basic rights of citizenship such as voting until 1924. Many that left reservations had trouble adjusting, especially those in big cities surrounded by noise, lights, and crowded streets. Alcoholism and poverty plagued many that left or stayed on reservations. The Dawes Act of 1887 allowed Indians to take farmland and gain citizenship if they chose, but that farmland was carved out of the reservations, making them yet smaller. Academics studied Indians hoping to document native culture before it evaporated altogether. Zunis adopted one of these researchers, Frank Hamilton Cushing of the Smithsonian Institute, who became known as Medicine Flower. Well-intentioned Whites provided tuition for some Indians to attend off-reservation boarding schools designed to drum Indian culture out of them and convert them to white dress, behavior, and thinking. Despite their disregard (and even contempt) for the students’ native culture and occasional physical abuse, many students received decent educations and job training and often did better than their reservation counterparts staying sober. 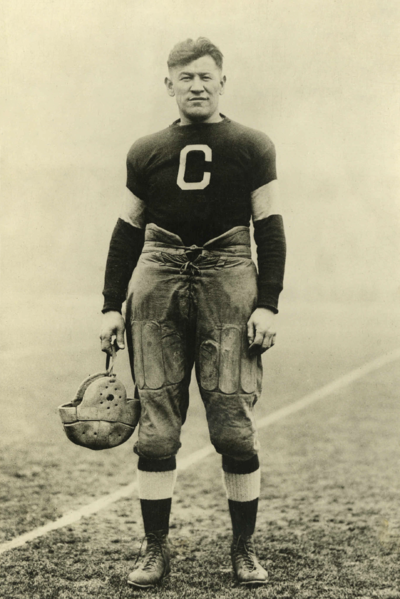 One of these schools, Carlisle Indian Industrial in Pennsylvania, had a great football team led by one of the best athletes of the early 20th century, Sac & Fox Jim Thorpe. Thorpe, whose parents were both half Caucasian, went on to win a gold medal in the 1912 Olympic decathlon but lost his medals when officials discovered he’d played pro baseball, violating his amateur status. He then spent six years in the major leagues and ten playing pro football. Before the Plains were even settled, entrepreneurs were already packaging and selling romanticized versions of the Old West to eastern American and European audiences in the form of dime novels and circuses such as Buffalo Bill Cody’s Wild West Show. Not long after, early Hollywood movies filmed in the deserts outside Los Angeles mythologized the West even before many of its original heroes had died. Wyatt Earp lived to see movies about himself. Men like Cody and “Wild Bill” Hickok had spent time in the West themselves as cattle herders, scouts, lawmen, trappers, Indian fighters, etc. The relative openness and lawlessness of Western mythology attracted audiences to carnivals that reenacted famous scenes. Along with rodeo events and sharpshooters like Annie Oakley, these shows employed Indians, too. Apache Chief Geronimo, who’d surrendered to U.S. forces in Arizona in 1886, played a dancing bear and autographed photos to survive. Sitting Bull, who’d been at the real Little Big Horn, reenacted Custer’s Last Stand for audiences in New York, London, and Paris before being shot by the Army at Standing Rock Reservation in 1890 for evading arrest. Many of us, me particularly, are from the units that have hurt you over the many years. We came. We fought you. We took your land. We signed treaties that we broke. We stole minerals from your sacred hills. We blasted the faces of our presidents [Mt. Rushmore] onto your sacred mountain. Then we took still more land and then we took your children and then we tried to take your language and we tried to eliminate your language that God gave you, and the Creator gave you. We didn’t respect you, we polluted your Earth, we’ve hurt you in so many ways but we’ve come to say that we are sorry. We are at your service and we beg for your forgiveness. George Armstrong Custer & His Wife Libbie @ Fort Lincoln in the Dakota Territory, Shortly Before His Death. Libbie Wrote Three Books About Her Husband’s Exploits.